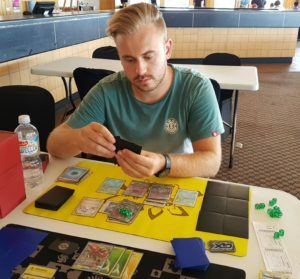 Posted by: Ellis Longhurst in Articles January 29, 2018 Comments Off on Oceania International Championships 2018: Australian TCG players to follow! Trainers! It’s that time of year when competitors from across the world brave the wilds of Australia for their chance at the title of Oceanic International Champion. This year, Australia’s beloved S.A.bleye team member, and all round nice guy James Goreing and I have teamed up to bring you an article featuring some of Australia’s finest TCG Masters. We have each picked one player from each of the six states of Australia whom we believe will have a standout performance at the Oceania International Championships. No-one can deny that Brent has the strongest resume of any active competitive Pokemon trading card game player in New South Wales. In fact, over the past two years, Brent has posted the best results at international events of any Australian player. During the 2016-2017 season, he placed top 64 or better at every International Championships (top 32 in Europe, top 64 in Oceania, top 16 in Latin America, and top 64 in North America), and in the top 32 at the 2017 World Championships. 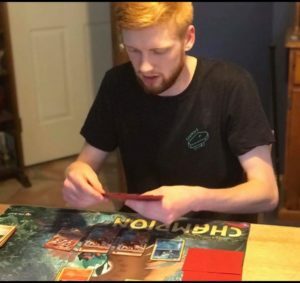 What makes Brent such a threat is his ever current knowledge of the meta game, ability to pilot a range of different decks and archetypes, and his decision making- both during deck construction and in-game. I once asked Brent why he chose to run three Field Blower instead of two in his deck, and received the equivalent of a verbal HSC English essay. This season, Brent has continued his success at premier events. He has already placed in the top 32 at the European International Championships, and followed this with a top 8 at the Brisbane Regionals (the only regionals in Oceania so far this season). He is currently the highest ranked player in New South Wales. Sometimes you have to back the favourite. Naomi Murn may only be 5”2’, but she is a serious threat in the Pokemon Trading Card Game. 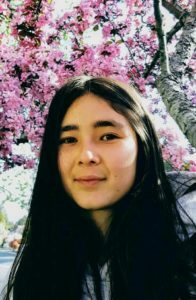 A Law and Science student from NSW, Naomi has learned that all that study is important and all, but has recently come back to the game in a big way. Having competed at the World Championships three times already now, I wouldn’t be surprised to see her put up some big number again this year. 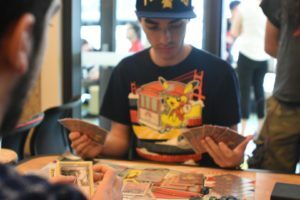 Naomi played at last year’s Oceanic IC, citing her poor deck choice of Yveltal/Garbodor as being a bit of an outdated call for the time… but I also played Yveltal/Garb, so it was probably a fine call. Going into this year’s IC, Naomi is expecting the big decks to be Tapu Bulu, Buzzwole/Lycanroc and Golisopod/Zoroark, and cites her current testing time for the format at roughly 0/1000 hours required in preparation before the event only a few weeks out. Despite this, and despite the fact that she junk-hunted Max Potion back to get a tie against me in a Darkrai/Garbodor mirror at Worlds in 2014, she’s still my pick for New South Wales. 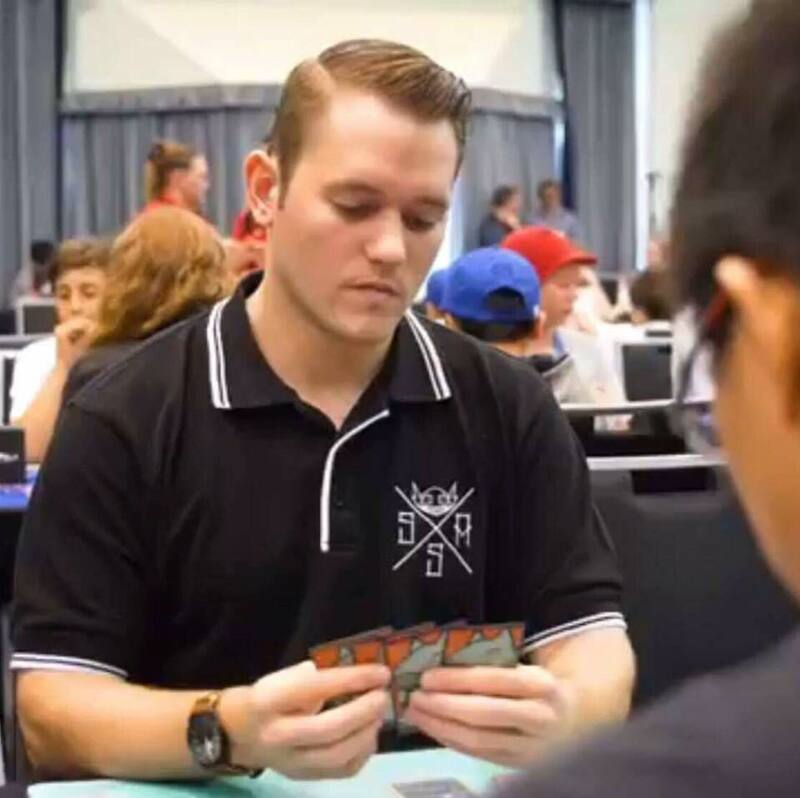 Over the past three years, Blake has earned a Regionals 2nd place, three Regionals top 4s (the most recent being Brisbane Regionals 2017), and a top 4 at the 2016 Australian Nationals. He has also represented Australia at the 2015 and 2016 World Championships, and the 2017/2018 European International Championships. Despite the fact that he has achieved success with a variety of decks over the past few years, Blake is known for his love of lock decks (particularly Yveltal EX/ Seismitoad EX, and Vespiquen/ Vileplume) and fire decks. I believe his fire-deck obsession started with the Ancient Origins Entei, and has more recently moved to Volcanion EX. And he never fails to find a way to make them work. 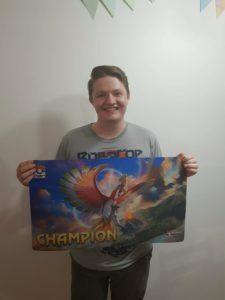 Last weekend, Blake placed 8th and 9th place with Vikavolt/ Tapu Bulu GX (stop playing different decks, Blake, you’re ruining my point about fire decks…) at the two League Cups in the Tasmanian Elite 4 Challenge. He is entering the Oceania International with a lot of momentum. Blake is also one of the best travelling companions you could ask for- we suffered through an ice cream called ‘Concrete’ together in Boston at Worlds 2015, and he helped me escape from a Pyramid scheme while in London for the 2017 Euro IC. He also has a Kyogre tattoo. Forget results, these points are enough to warrant selection on this list. James Williams is a super solid player who has started making a name for himself from Brisbane. Always a sturdy contender, James has made top 32 at the 2015 and 2016 Australian Nationals, narrowly losing his win-and-in round both years. Onwards and upwards, this year James has already won a League Cup and scored top 4 at Brisbane Regionals. This is why I’m sure James is going to have a run to remember at this year’s IC. Last year, James regrets not deciding to play the eventual stand out deck of the event, Decidueye/Vileplume, instead ending on a modest 4-4-1 record with Turbo Dark. The season prior, James had some solid standings with Vespi/Vile, being partly responsible for the increase in number of Aegislash EX seeing play in Australia. For this year, James has been putting in sold numbers with Buzzwole/Lycanroc variants- playing safe, measured and carefully with a deck that gives you a lot of options. Having an extremely reactive and play-maker style deck choice really showcases his knowledge of the game, with the amount of combos that Lycanroc, Octillery and Buzzwole can pull off. James briefly wanted to note that Mew EX is bad and you shouldn’t play it. All this is why James is a top pick from Queensland. Jordan Palmer’s competitive resume is possibly Australia’s most impressive, with seven Regional Championship wins, multiple World Championship invites and a couple top 32 finishes at Worlds, it’s safe to say Jordan is pretty good at the game. That’s one of the reasons why it is great to hail from the same state as him and to play on the same team, as his professionalism and skill force you to play your best around him. I’ve learned the most about this game from losing to Jordan on repeat for the last five years, as his in-game decision making and general skill level are insane. 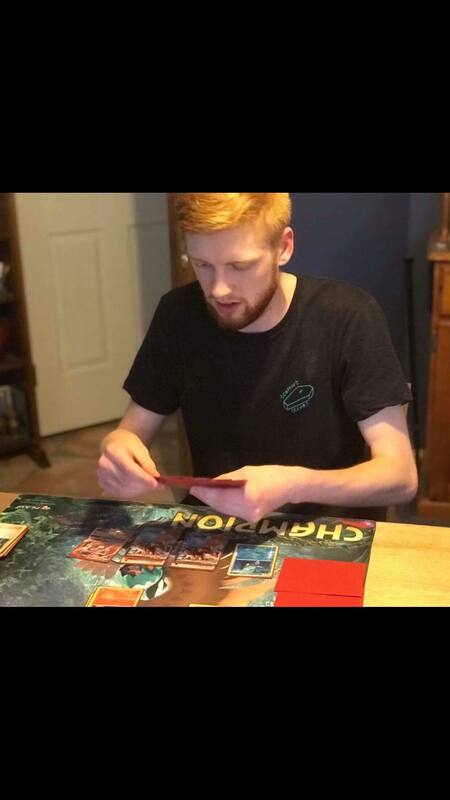 Once, around the Steam Siege era, Jordan had lost a bet and had to play a deck of the rest of the teams choosing. He was given a breakpoint Garchomp deck, with no N and four Shauna- a card he doesn’t like. 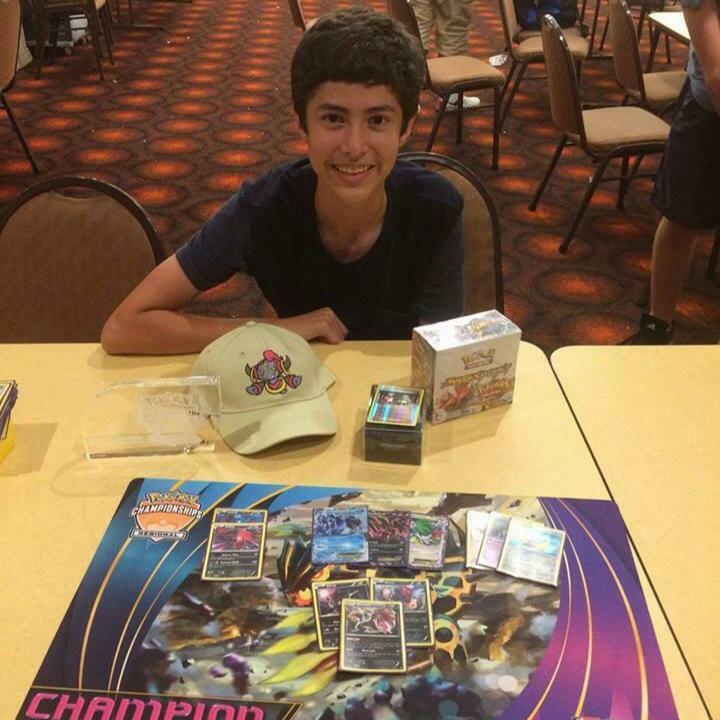 Having never played Garchomp, and being in a field of Yveltal/Garb, Vespiquen and Volcanion, Jordan managed to go 4-0… because of course he did. I could have mentioned that he also top 32’d Worlds last year with a Drampa/Garb deck he made the night before, after testing Decidueye for months… but Garchomp/Shauna is funnier, and that’s why he gets my pick from South Australia. On James’ 23rd birthday he bought himself some TCG booster packs for a laugh, and it has since become wildly out of hand. He plays the TCG every day, subscribes to every site, reads everything, and watches everyone (in a non-creepy way, of course). 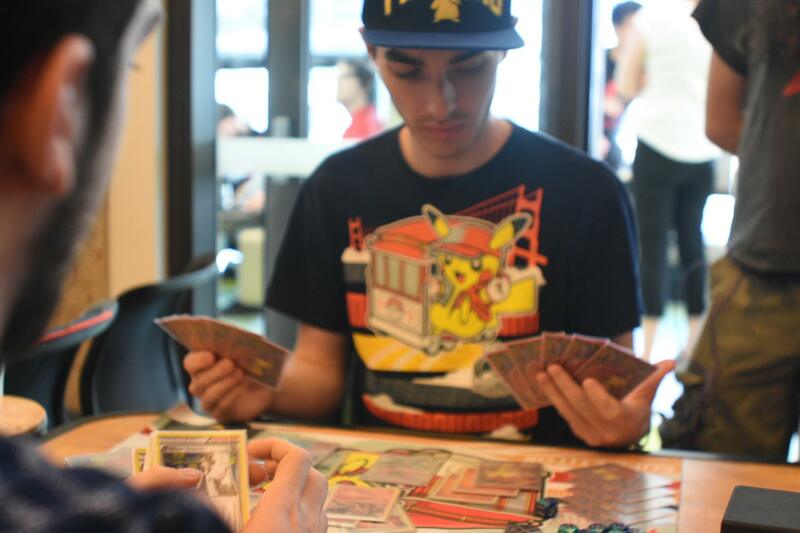 James is an integral part of the South Australian competitive TCG team- the S.A.bleyes- whom he tests with constantly. His commitment to the game has resulted in a Regionals win, two Regionals top 4s, a few City Championship wins, and three Worlds invites. 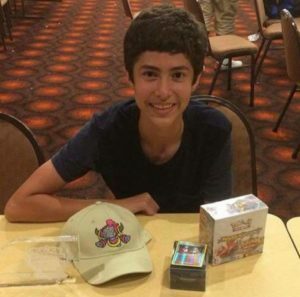 At Worlds 2014 he played Darkrai Garbodor, in 2015 he missed his win-and-in to day 2 with Metal Rayquaza, and 2017… is best left unspoken about. James is sponsored by EXP Gaming, and I’m sure a hair care product sponsorship is in the works too. Joshua Sparks is my dark horse for a place in day 2. Having only started playing competitively this season, he enters the Oceania International Championships with no international experience. However, Joshua has shown promise at tournaments in Australia. He was captain and the most valuable player of team Tasmania in EXP Gaming’s 2017 State of Origin PTCGO tournament. 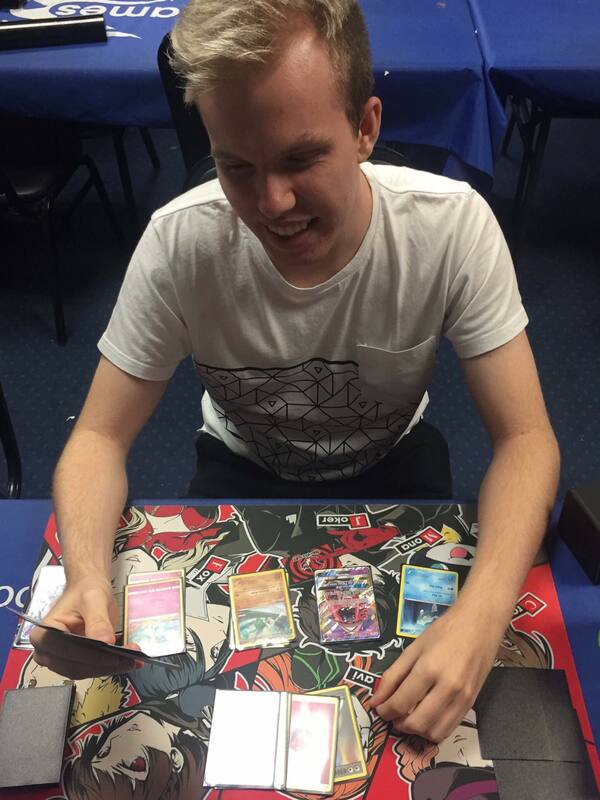 At the Brisbane Regional championships (his first sizeable official tournament) he placed 20th -bubbling top 16. He spent day 2 of the tournament keenly observing the top cut matches and analyzing plays. It was the first time I met Joshua in person- his enthusiasm for the game was refreshing. 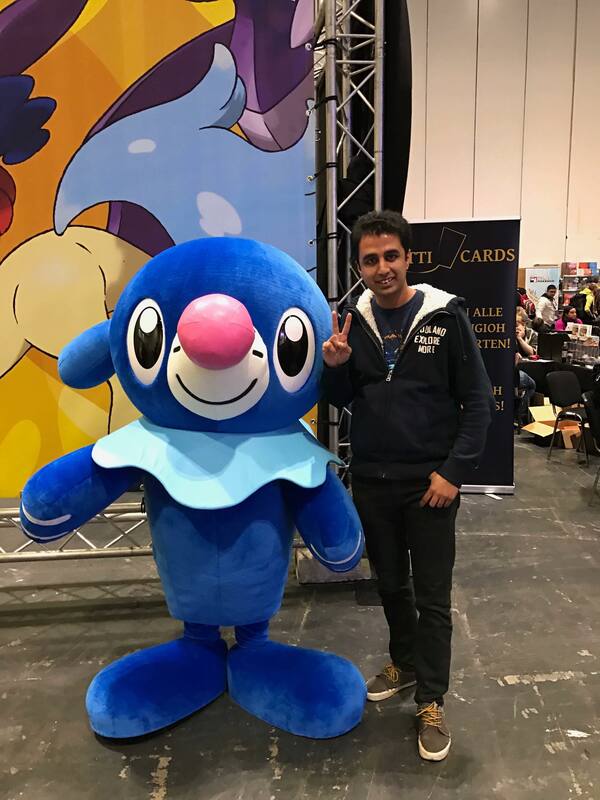 A self-proclaimed student of the game and fan of Zoroark GX, hopefully Joshua can add Day 2 International-Championships-competitor to the list. Will Farmilo is a member of the Tassie Tauros- one of the newer Australian teams to take to the competitive stage- but has been playing the game for a number of years now. A fan of the old HeartGold SoulSilver era of cards, Will is a fan of the old formats in general and even wishes Australia had some support for Expanded play… but I’ve lived through Trevenent, Toad and Night March once, and that’s probably enough. When Will isn’t busy studying a Bachelor of Business, he’s testing hard for the IC and helping his fellow team members get ready for the event. Last year, Will made a solid pick in playing a dual Mega Gardevoir build to a 38th place finish, as it handily dealt with all the degenerate Turbo Darkrai builds running around at the time. As for this year, Will again is looking to expect lots of Tapu Bulu for its good offensive numbers, as well as Lycanroc/Zoroark being a consistency beast and safe pick for the event, and in general recommends testing against all things Zoroark. A true gentleman, Will asked to give a shout out to their local store Battle Axe games for staying open late and helping the team organise and test, and to the rest of the Tassie Tauros guys for helping build their community out on the little island. For these reasons, Will is a safe pick from Tasmania. Sameer Sangwan spent an entire season being the perpetual first seed going into cut, and for some reason I kept hitting him round one for some reason. After a few years of mostly losing to, and occasionally beating Sameer, we finally got to talking. A quieter paced person, it is reflected in his careful and considered play. Sameer’s in-game play really sets him apart. A few weeks ago I was the head judge at a League Cup that Sameer eventually won, and I had the privilege of watching his top cut games from his side of the table. Almost invariably, he played out his turns differently to how I would have, biding his time and not rushing into risky or unlikely plays. Sameer has played since 2011, and it shows. A second placing at Nationals that year with his favourite deck LuxChomp isn’t a bad start to his competitive experience. More recently, we both paired for our first round of day two at the last Oceanic IC.. because of course we did. We tied, and he went on to finish 17th, the highest placed Australian at the event (I believe). Sameer’s sage advice going into this year’s IC is to know your matchups against Golisopod/Zoroark and Lycanroc/Zoroark decks, as they’re going to be a huge chunk of the field. But after just winning a League Cup with Tapu Bulu featuring Zoroark GX, Sameer is also tipping the bull-bell Pokemon to be a big contender. 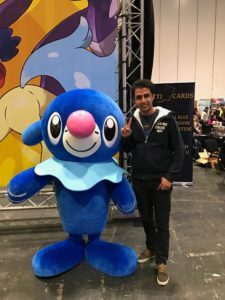 Sameer is polite, calm and professional, and despite being team Popplio, he is still my hot tip from Victoria. 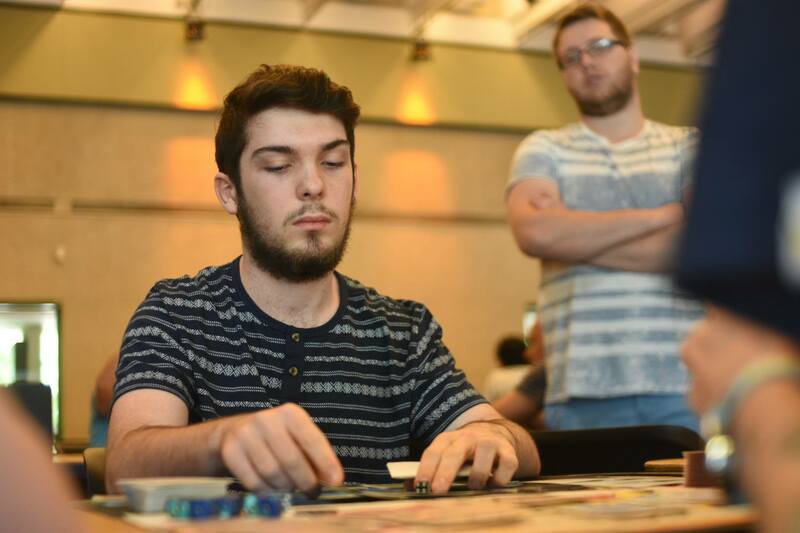 The term ‘Pokeparent’ is often considered to be antonymous with the phrase ‘competitive TCG player.’ Well, linguists beware, Steven Filiposki can be described by both. On the one hand, he has a title-winning senior division son whom he credits with having given both of them the opportunity to travel around the world. In the other hand, he has DCE and Guzma for game. 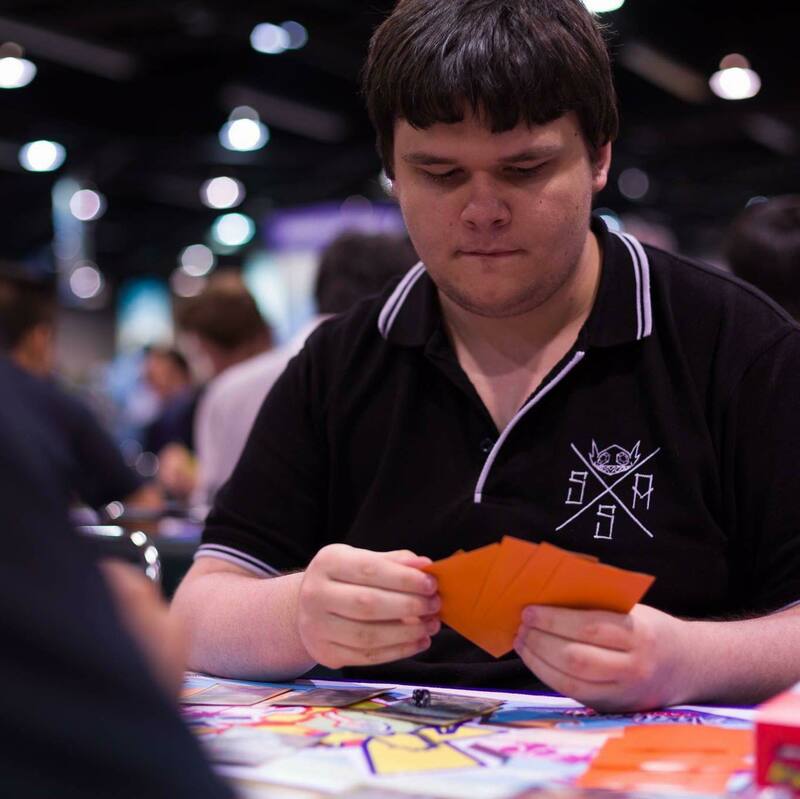 Over the past three years, Steven has posted decent results at Regional tournaments across Australia- top 8 at Brisbane Regionals 2015, top 8 at Adelaide Regionals 2016, and 2nd place at Sydney Regionals 2017. He also has a considerable amount of international experience, having represented Australia at the 2014, 2016, and 2017 World Championships, and the 2017 Oceania, North American, and Latin American (where he bubbled- 33rd place) International Championships. Steven is certainly not a player to be underestimated. 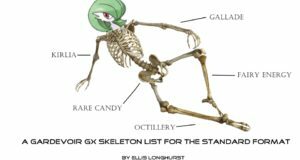 At the 2017 Sydney Regional Championships, he showed off his deck-crafting skills with a Drampa GX/ Garbodor list that either ran 4 or none of the conventional item cards. He defended all his choices by pushing Jordan Palmer to game 3 in the Final. Note: If the 2018 Oceania International Championships ends up being a field of 300 Volcanion EX in Masters, I reserve the right to change my pick to Mr. Greninja- Henry Brand. Shaun Sewell has survived the shark tank of learning to play in WA and has emerged a winner. He’s a common name in top cut for Perth events, having top 8’d their Regionals for the last three years. Having finished high school a few years ago, I think now is Shaun’s time to shine. His style of play is always so calm and controlled, making him a difficult opponent to read- an often-undervalued trait in a game based on an information war. I guess you just must “get good” fast when your local league is mostly Worlds attendees and more of Australia’s best. Shaun did attend last year’s Oceanic Championship, playing a hot pick of Vespiquen to a 4-4-1 finish. Unfortunate, as a field of a lot of Volcanion and Decidueye can spell trouble for our friend Bees. But for this year, Shaun’s hot on the testing circuit, expecting a lot of Zoroark decks of course and tipping maybe Tapu Bulu or Gardevoir to be the play for the event, as anything that can take down the illusion fox seems like a good play. Shaun also has a winning smile, a can-do attitude and is incredibly polite, and for those reasons as well he gets my hot tip from Western Australia. The last addition to this list, but by no means the least talented, is Matthew Bray. Three years ago, we would have been talking about his older brother (Alexander Bray), but the W.A.ilord playmat has been passed on… and Matthew Bray has not disappointed. 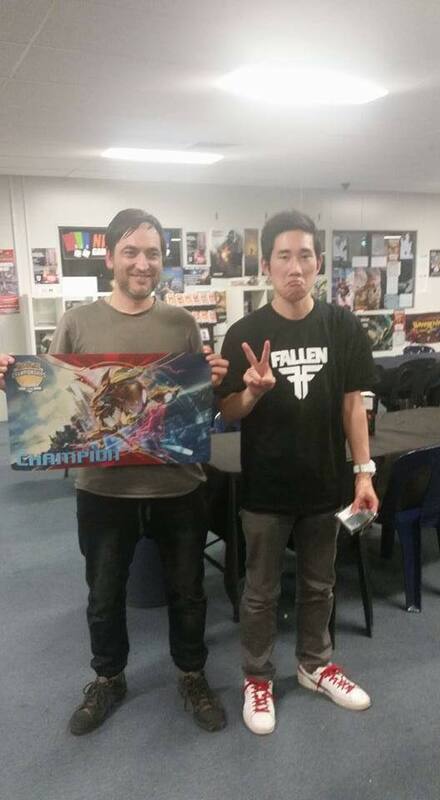 In 2016, Matt won the Perth Regionals championships- a hotly-contested event that attracted players from across Oceania. He followed this result with a top 32 at the 2016 Australian Nationals. Later, at the 2016 World Championships, Matthew finished on a 4-2-2 record- with players like Sam Chen and Jason Klaczynski in his match history. 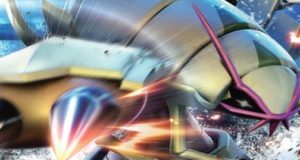 Recently, he piloted Decidueye GX/ Zoroark GX to a top 4 at the Brisbane Regional Championships. 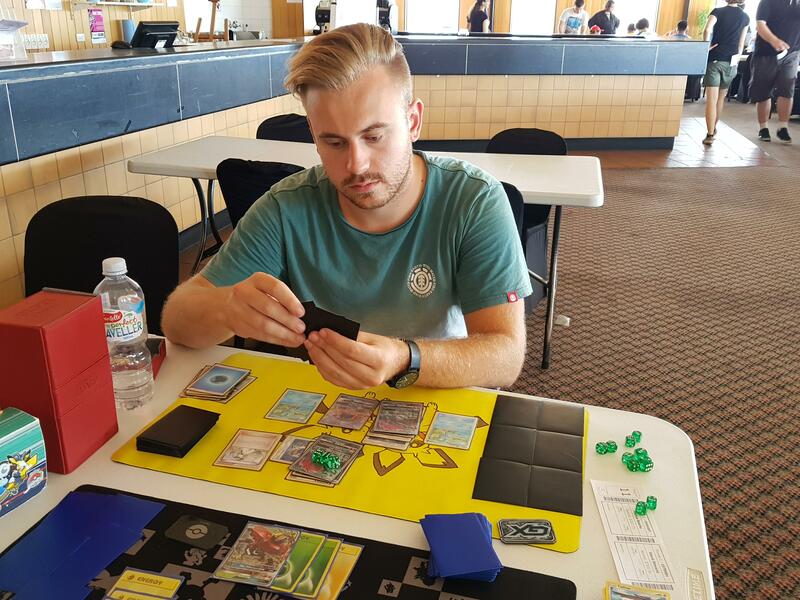 Last year, Matt piloted a deck he was very familiar with- Mega Mewtwo Y/ Garbodor/ Espeon GX- to a top 32 finish at the Oceania International Championships. For the Oceania IC this year, he recommends that players looking for a top 32 or top 64 finish take a similar approach and play decks they are very familiar with. For players seeking a top 8, he believes that correctly predicting the meta will be crucial. 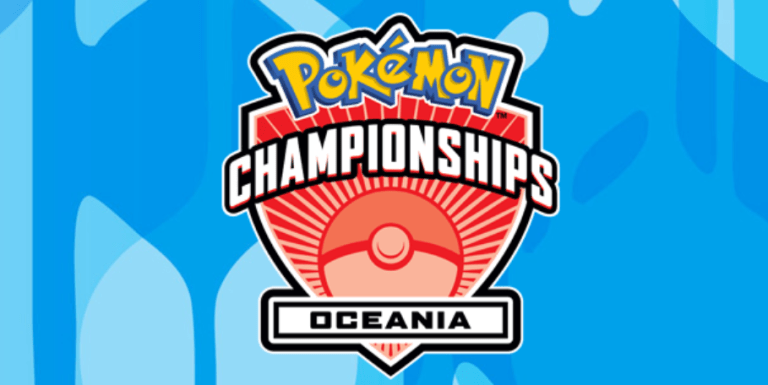 We would like to wish all players competing in the Oceania International Championships the best of luck. Feel free to say hi to (or scold for our choices) James or myself at the event! Special thanks to ESL Australia- Images of Blake Davies and Matthew Bray are courtesy of ESL Australia.